DLT is the premier Public Sector Solutions Aggregator committed to accelerating growth for technology companies and their channel partners. With a manufacturer-first policy, we ensure that we never compete for your business because of a public sector customer preference. DLT is the Public Sector Aggregator you can trust to enable, grow, and strengthen your business all while reducing costs and mitigating risk. 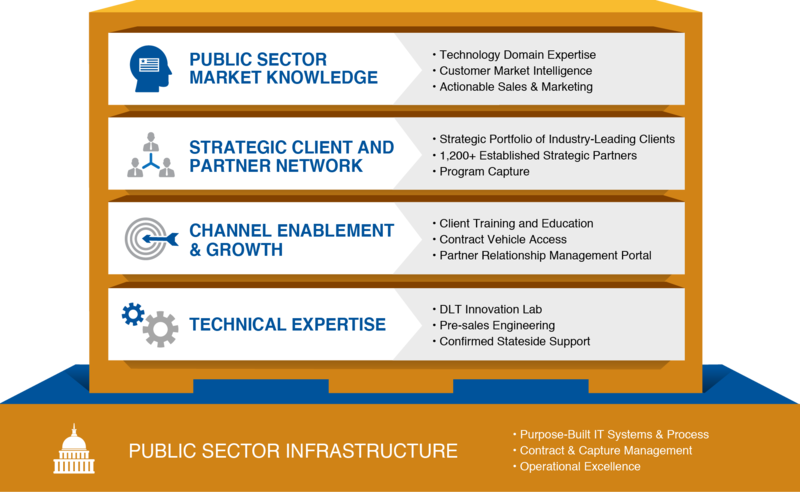 Public Sector Market Knowledge: For over 25 years, DLT has focused solely on the public sector. We provide your business with access to in-house subject matter experts aligned with specific technology domains to use our market intelligence to drive informed sales and marketing strategies. Strategic Partner Network: DLT has an established network of 1,100+ strategic partners. From System Integrators to 8As, and Cloud Providers, let DLT be your trusted matchmaker. Channel Enablement and Growth: We offer OEM training and education that provides your business with in-depth knowledge on specific products and channel programs, deal registration, and access to a robust selection of in-house contracts, all of which will expedite your road to increased profitability. Technical Expertise: DLT has a team of in-house, experienced software engineers that have deep OEM product knowledge and the capability to provide ITAR compliant, US Citizen/US Soil Confirmed Stateside Support. And all of these services find their foundation in a purpose-built infrastructure designed to win public sector business while reducing your risk and operating expense. This includes our government compliant systems and processes, contract & capture management services, and operational excellence to handle tens of thousands of transactions at scale. Ready to increase your profitability and expand your channel network? 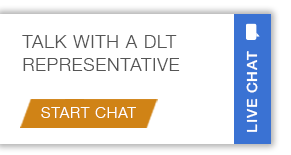 Contact us today and learn more about the advantages of partnering with DLT. DLT PARTNER: In order to accurately represent your company's capabilities, contracts and specializations to our client/oem, internal and government customers, we request that you complete the following data form to be put into the DLT Partner Profile system. This will allow us to more quickly pass appropriate opportunities your way. At DLT we not only help create growth opportunities for our Channel Partners, we also provide the business support needed to help make success happen. Our financial tools and support are designed to enable your accelerated public sector growth. Below please find information listing a few of our financial solutions available to current Channel Partners.